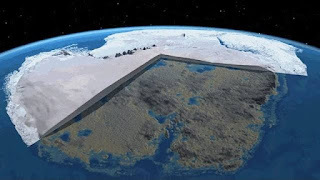 Home » story » truth » Videos » Russia Spills The Beans: Antarctica, It’s Not What We’re Being Told! Will This Be The Real Jurassic Park? Ground-penetrating radar has discovered another continent under the Antarctic ice. Is this the fallen angelic civilization that has captured the interest of world leaders, and particularly the Vatican? There’s a ban on Antarctica, now see why. Plus the Venomous 14-Arm Octopus! The ancients believed in monsters of the deep, serpents hiding under the waves, threatening to capsize the heavy crawling ships of men. Today there is no ocean or lake that has not been probed and found wanting for sea monsters. Except for the freshwater lakes buried beneath the ice of Antarctica.